Thanks to some strong festival buzz, The Central Park Effect has put HBO in an Empire state of mind. The documentary, set for a television premiere this summer, focuses on the relationships between the men, women and birds of Central Park. For decades, The South by Southwest Festival (or, as the cool kids call it, “South By”) has nurtured its reputation as a premiere launchpad for filmmakers, musicians and tech wizards from across the country. Located in the heart of Austin, Texas, it’s that warm and vibrant place where success stories are hatched and where hard work begins to reap its rewards. (Check out SheKnows’ coverage of last year’s South by Southwest Festival for more information!). The Central Park Effect, a documentary directed and produced by Jeffrey Kimball, is among this year’s South by Southwest Festival darlings and has recently signed its domestic TV rights to HBO Documentary Films. According to a joint announcement by HBO and Submarine Entertainment, the pay channel plans to debut the picture this summer. Josh Braun of Submarine Entertainment negotiated the deal on behalf of the filmmakers. 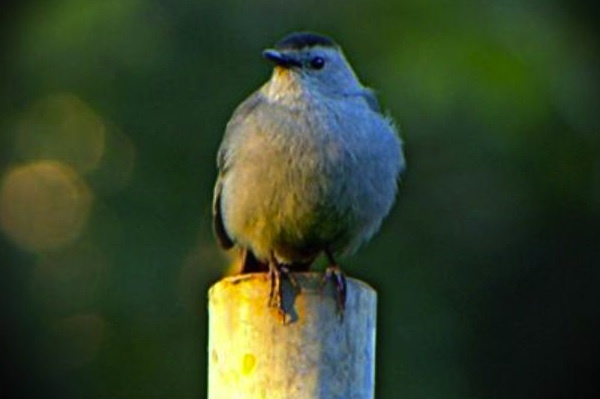 The Central Park Effect, a South by Southwest selection in the Documentary Feature Competition, focuses on wild birds that make their homes among New York City’s greenery before migrating to warmer climates. By zeroing in on seven frequent (and, it should probably be noted, human) visitors to Central Park, Kimball’s film explores the tender bond between man and nature amidst the bustle of the big city. In addition to its colorful avian cast, The Central Park Effect features Chris Cooper, acclaimed novelist Jonathan Franzen (author of The Corrections) and New York City field ornithologist Starr Saphir. The film is executive produced by Pamela Hogan and Tom Casciato. Documentary fans can bet The Central Park Effect will offer its audiences a rare and memorable “bird’s eye” view of the city that never sleeps!